After spending a very memorable day around Amsterdam city on Day 1, we barely managed to stumble out of bed, shower and head to breakfast. We were back on the tour bus by 10 am. This time we were heading towards Rotterdam. The architecture of Rotterdam is far more modern than Amsterdam. 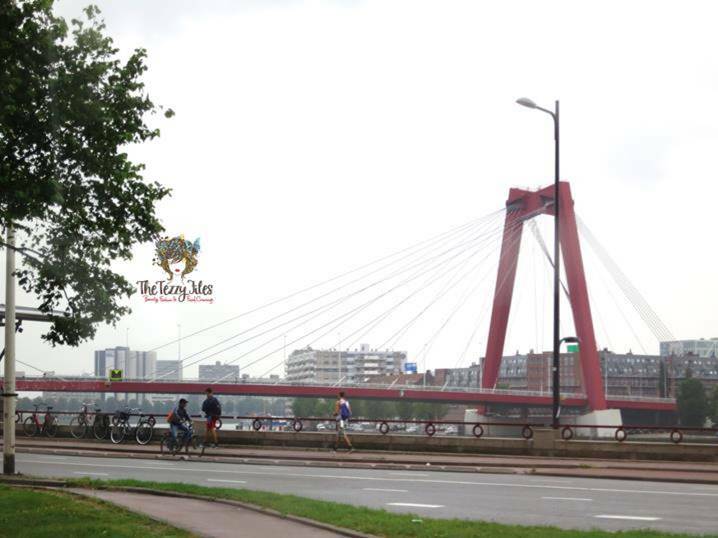 This is because Rotterdam was damaged during the Second World War bombings, and today the high-rise buildings lining the streets make up for a bustling commercial district. Me with the girls infront of Rotterdam’s Pencil Building and the bending houses. Rotterdam boasts of the largest harbor in Europe. It is connected to the Delft canal (Delft is a region within Rotterdam). The Delft dam was made by hand in the year 1000. The water from this dam was so filthy that residents of the area were forced to drink beer instead (young children included)! 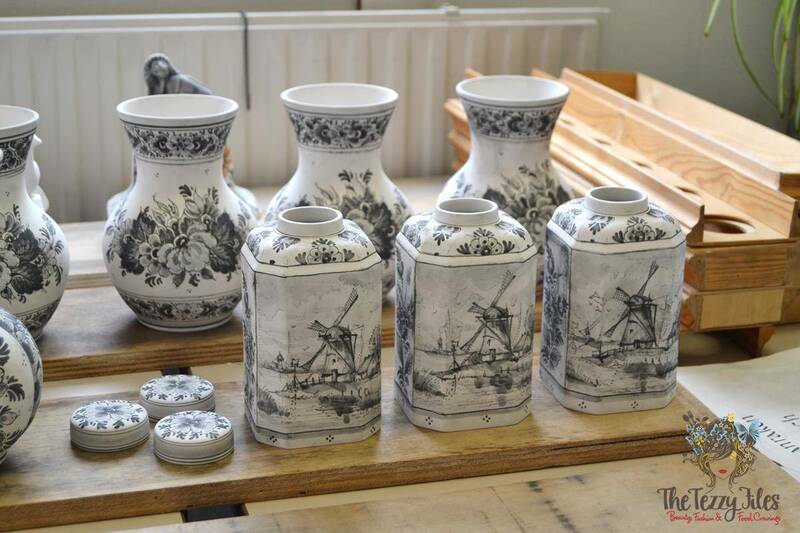 Today, Delft is more famous for its pottery. 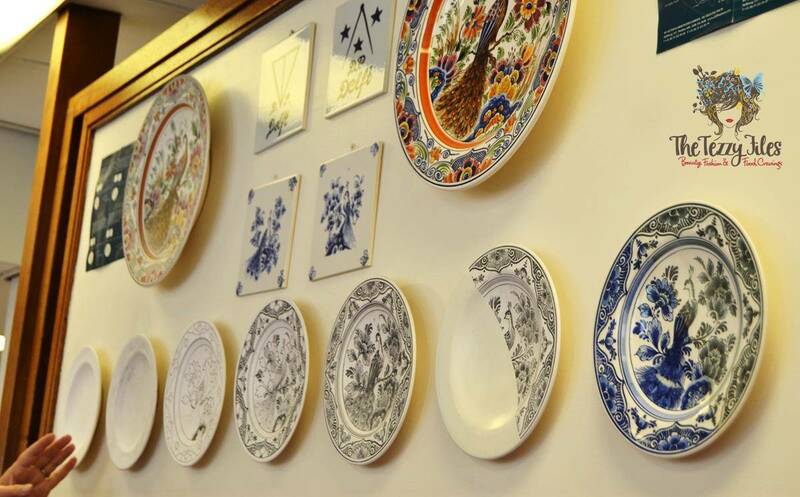 We had a tour of the Delft Pottery office. I love how quaint and peaceful the little building is, wouldn’t it be lovely to be a potter around here?! Pun intended! 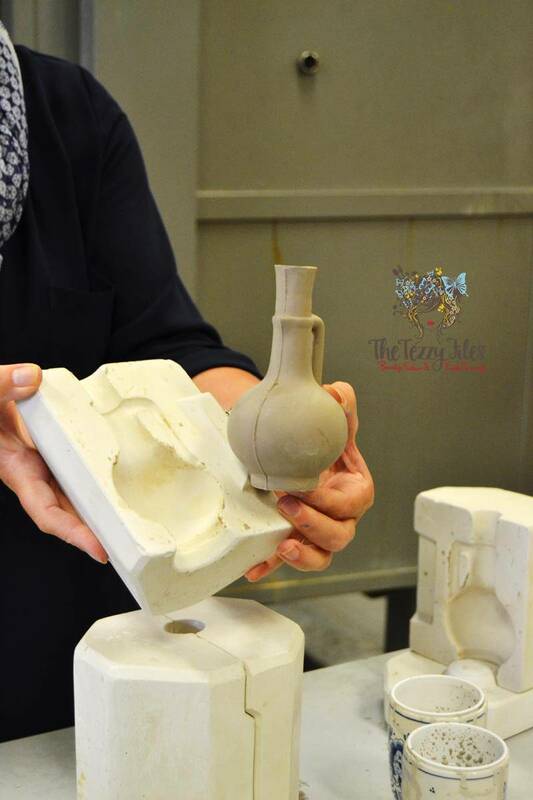 A jug right out of the mold. 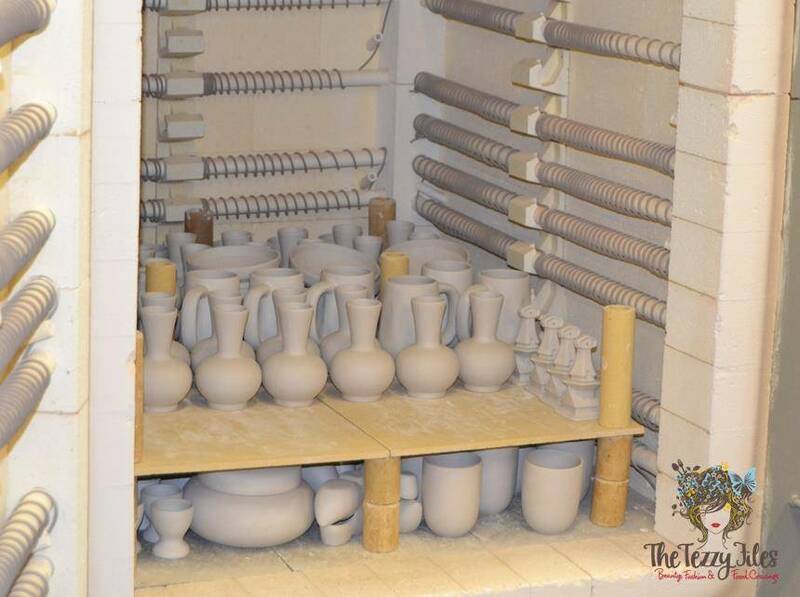 The oven where the pottery pieces are baked. 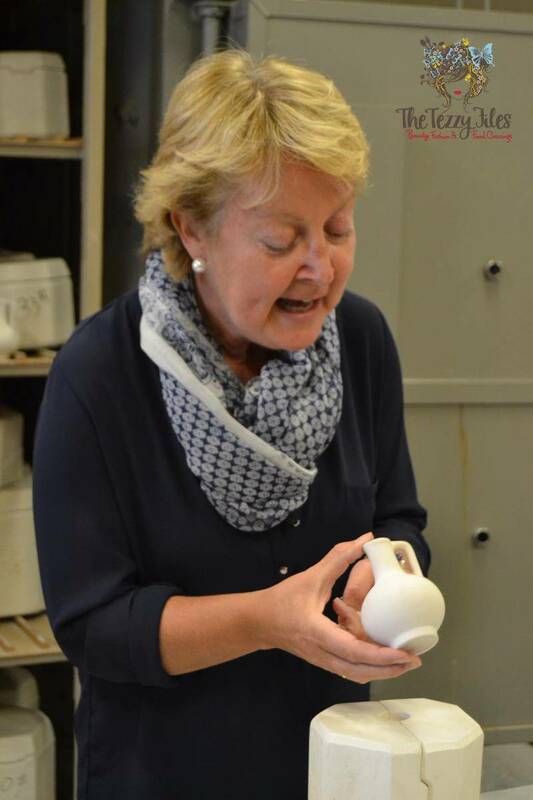 Our host tells us they use imported clay from the UK for its characteristic white finishing. The Delft Pottery studio where all the magic happens. 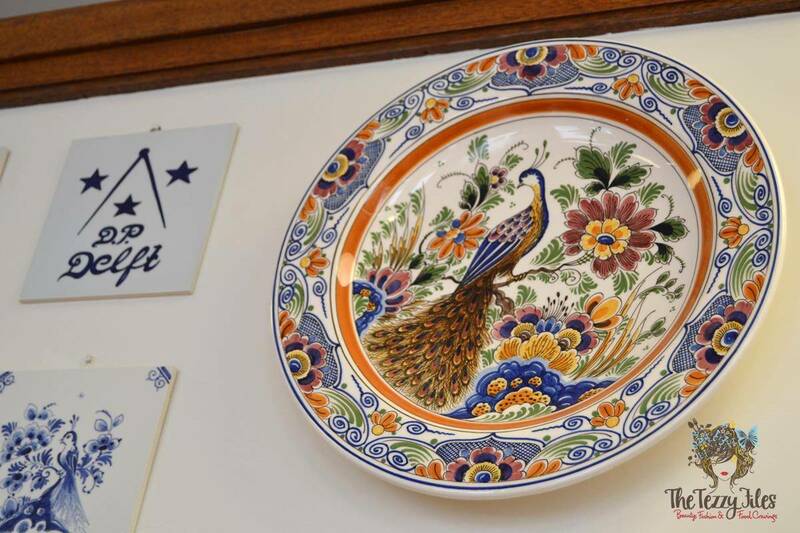 Did you know the characteristic blue of Dutch pottery is initially black? It turns blue when baked. 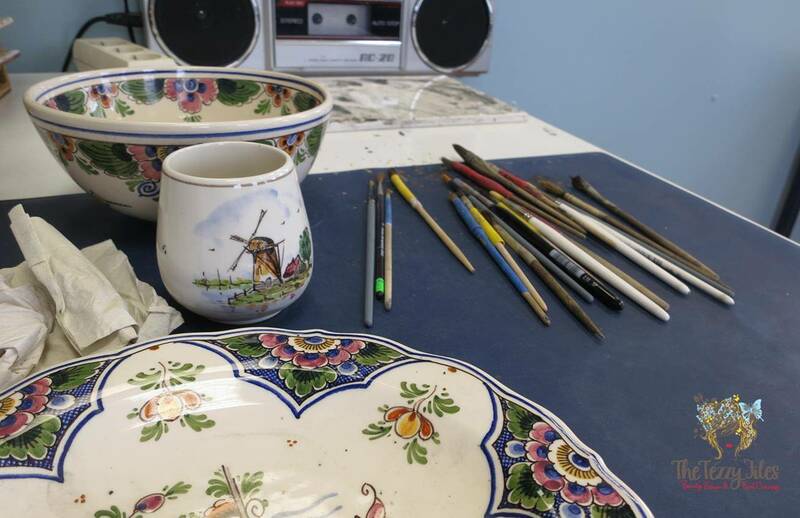 The various stages of a Delft hand-painted plate. 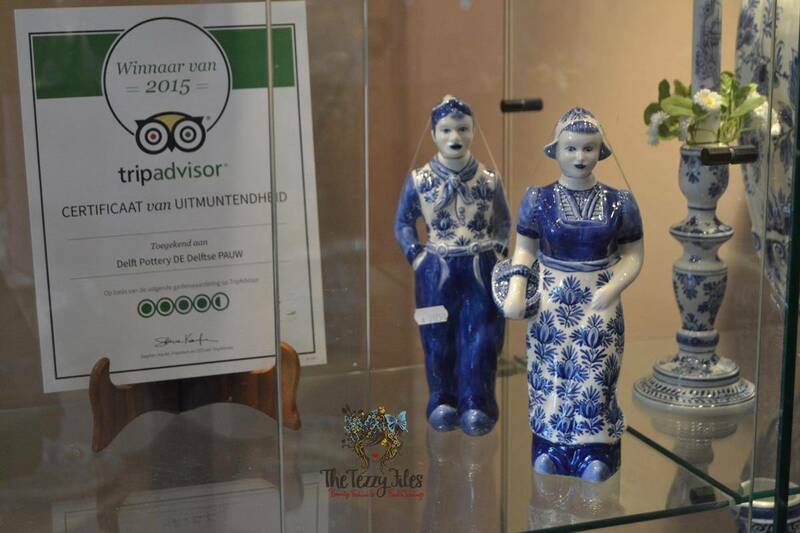 Authentic hand-painted pottery bears the Delft Pottery stamp of approval on the back. 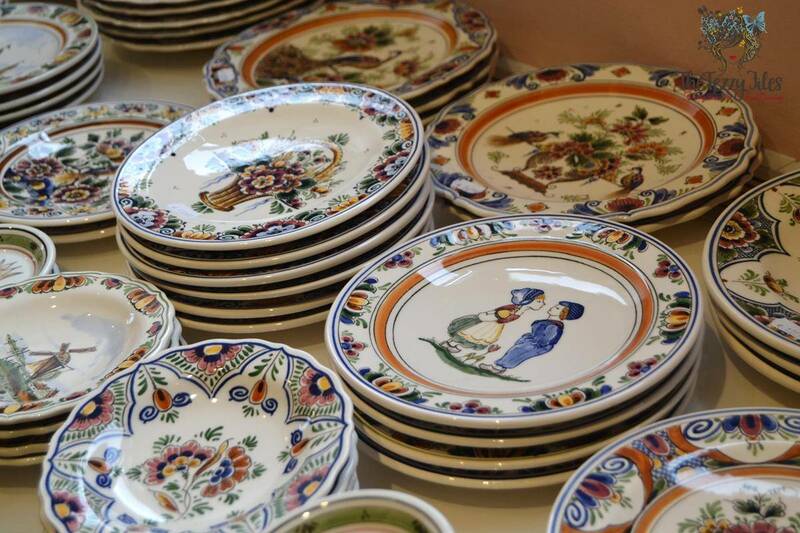 You can buy some of the gorgeous pottery at the store. 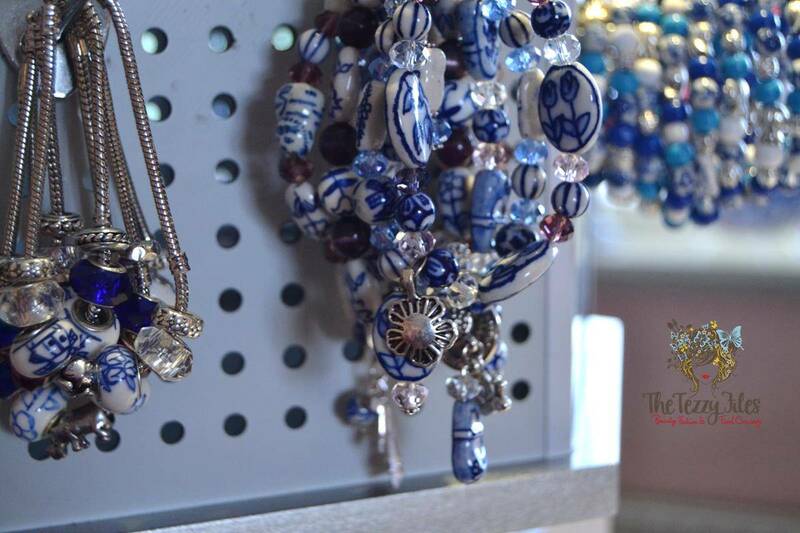 Delft pottery in the form of jewelry. 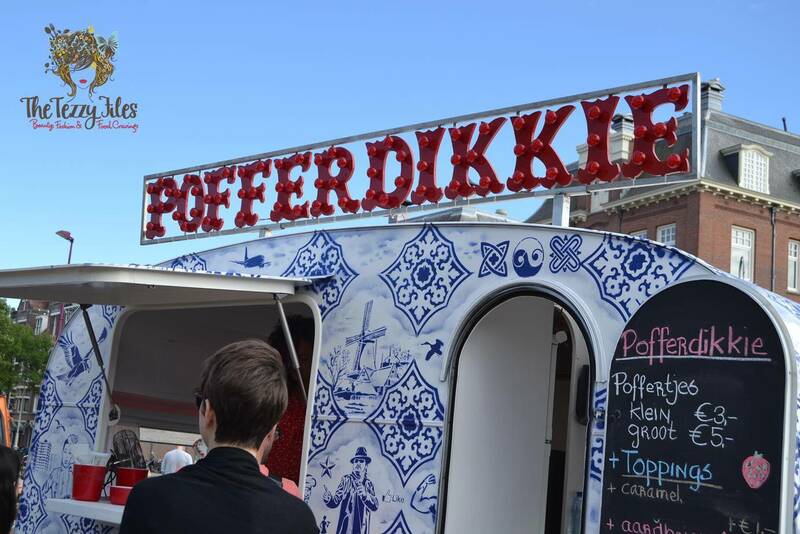 We headed to the Delft Craft Market for lunch. 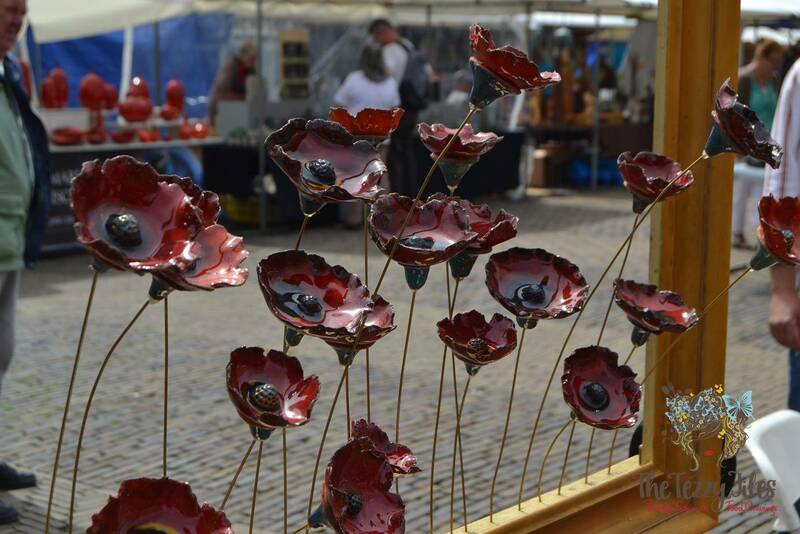 This weekly market is held right in-front of Delft Town Hall (Stadhuis Delft). This beautiful old renaissance building was built in the 13th century, and includes a torture chamber. 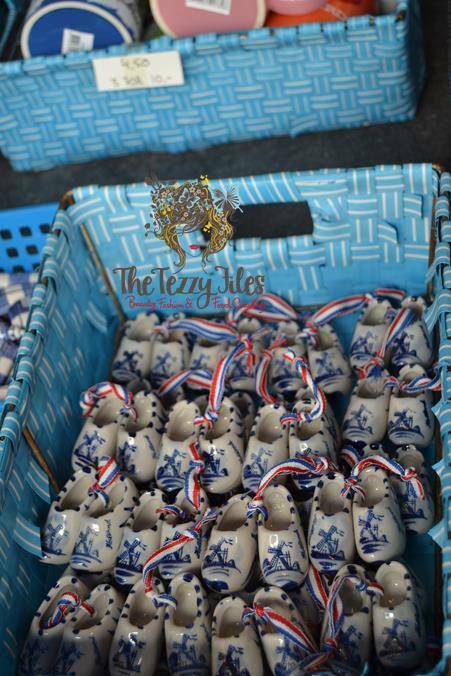 It was a pleasure going through all the handmade goods on offer at the Delft Market. 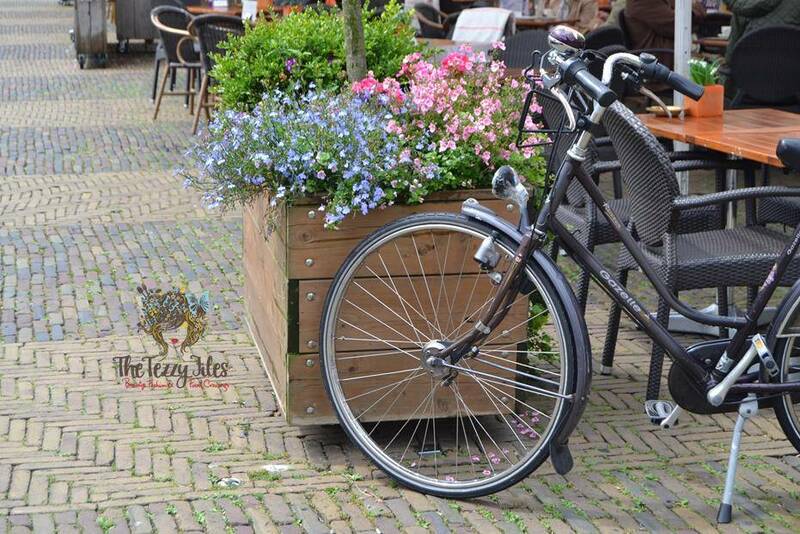 A typical Dutch scene: a bicycle by some blooms. Quaint little vintage stores around the Delft craft market. 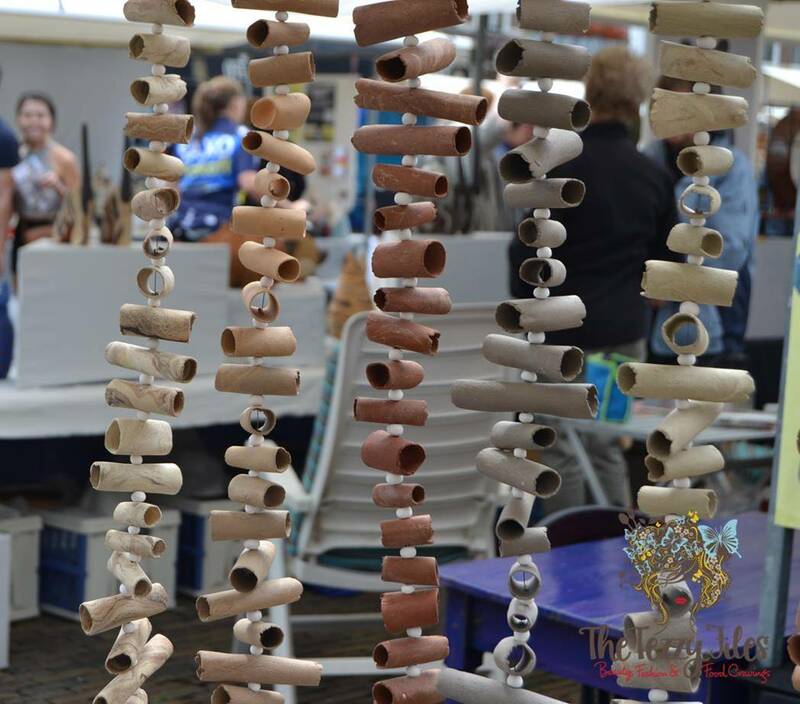 Artisan ware at the Delft Craft Market. How cool is this mangled up castle?! 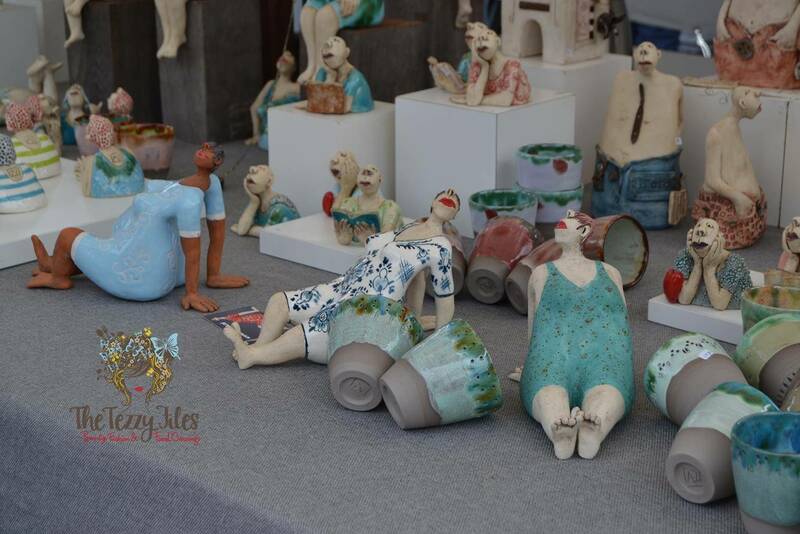 A group of ladies seen lounging around the Delft Craft Market. 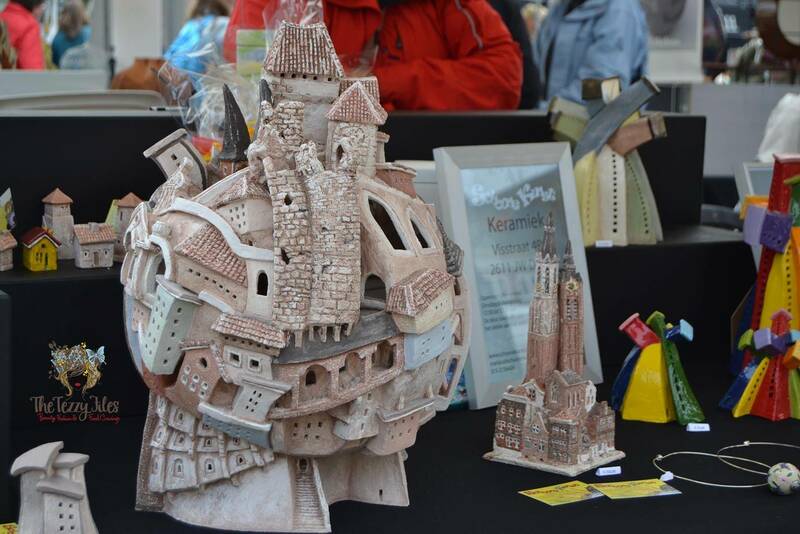 Hand-sculpted beauties at the Delft Craft Market. 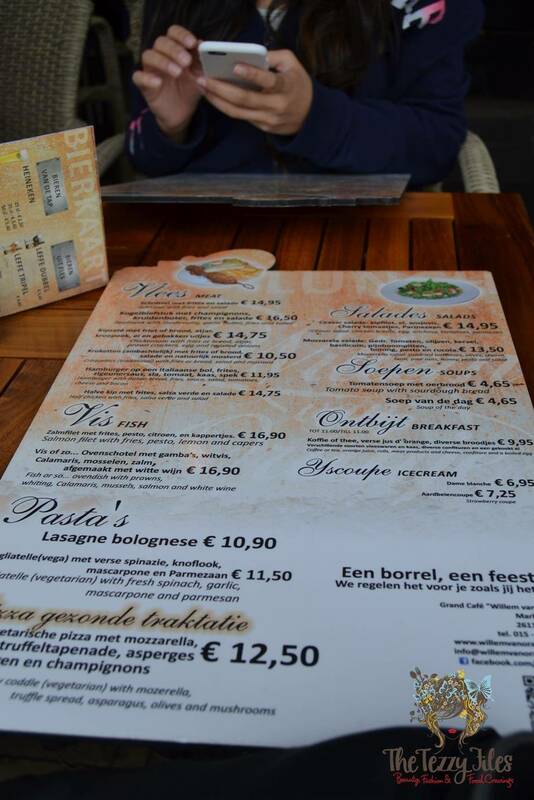 We had lunch at a quaint little cafe in the Delft market. 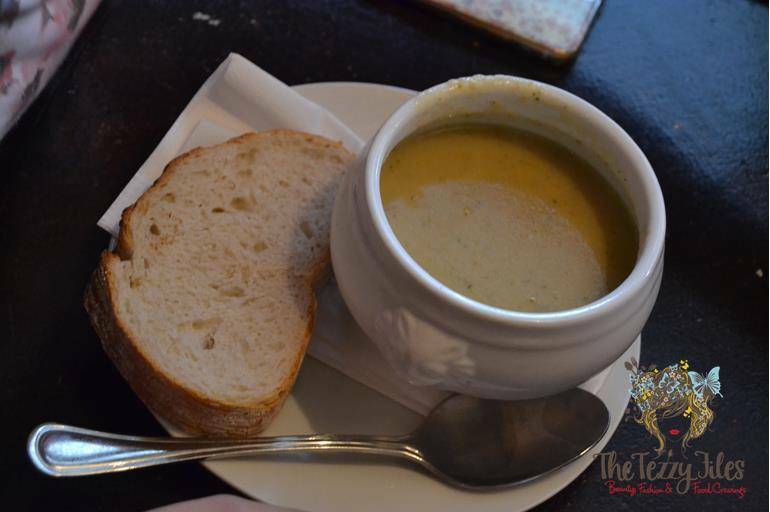 The cafe is named after the heroic William of Orange, and serves up a hearty feast of Courgette soup and open sandwiches. 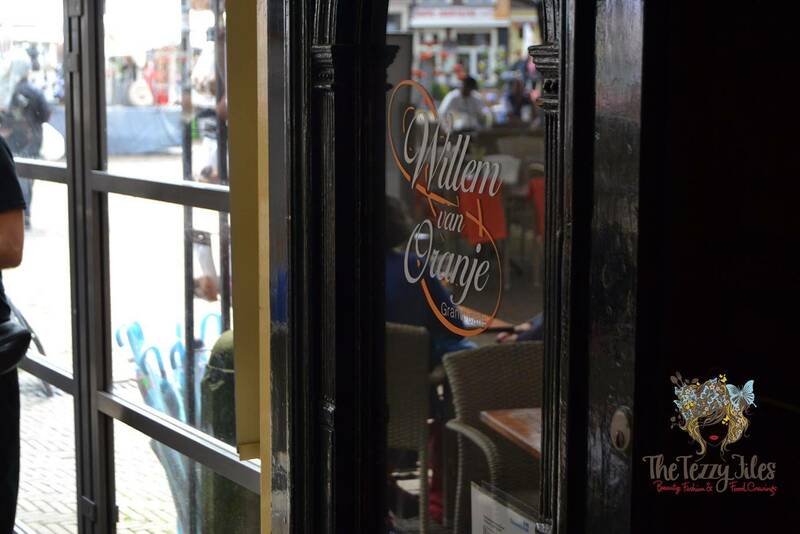 Willem van Orangie Cafe at Delft Market. 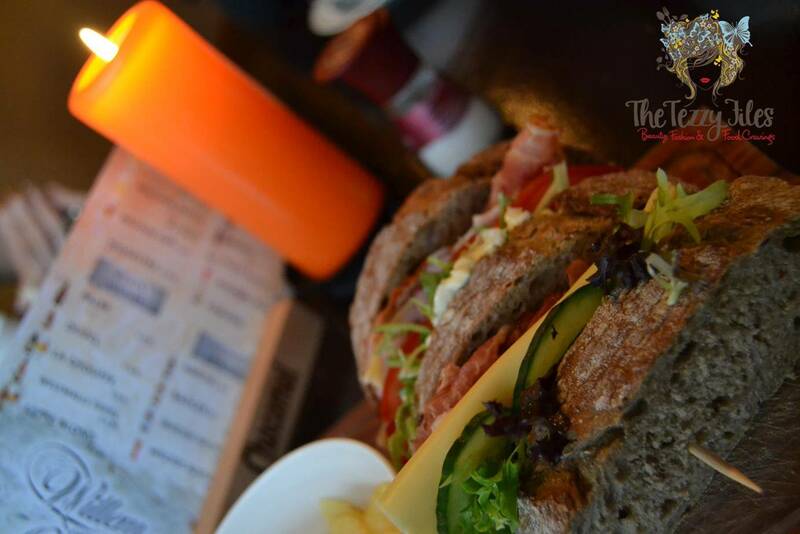 The cafe is beautifully quaint and features aged wood finishings that accentuate the very cosy ambiance. 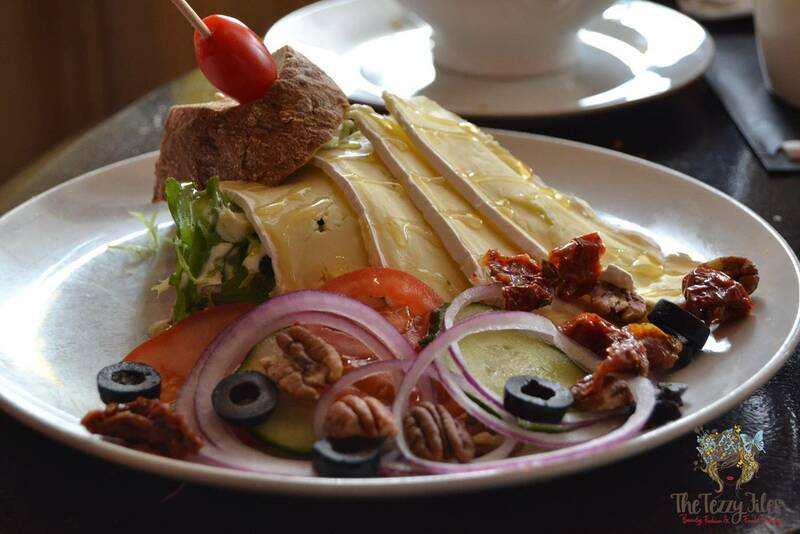 The menu includes fresh seasonal salads, all-day breakfast items as well as hearty soups and lasagnas. I went for the ‘Soup of the Day’. This delicious courgette soup was hearty yet nutritious all at once, and was the perfect comfort food given it had started drizzling outside. A very filling and delicious stacked chicken sandwich. An open brie sandwich featuring sun-dried tomatoes and pecan nuts. 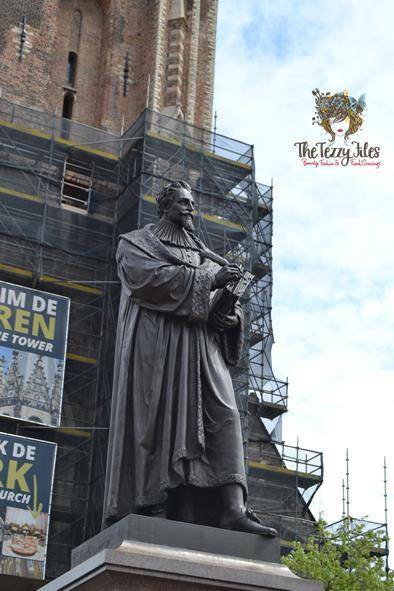 William of Orange overlooks Delft Market. 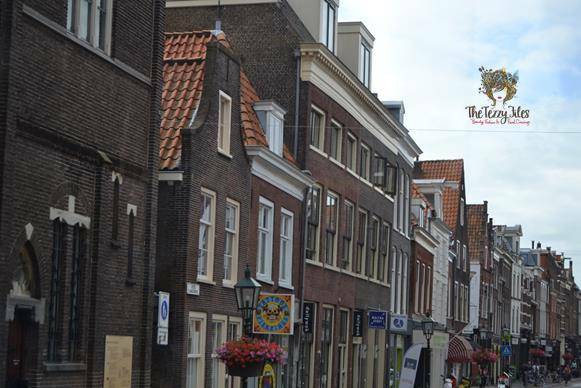 The heart of Delft Market. 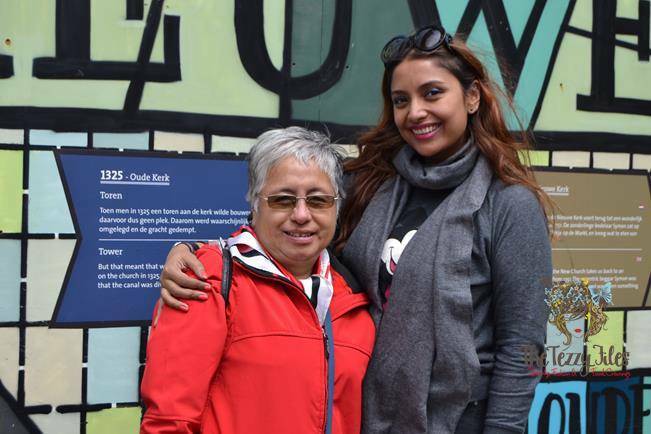 Me with our lovely tour guide Annie. 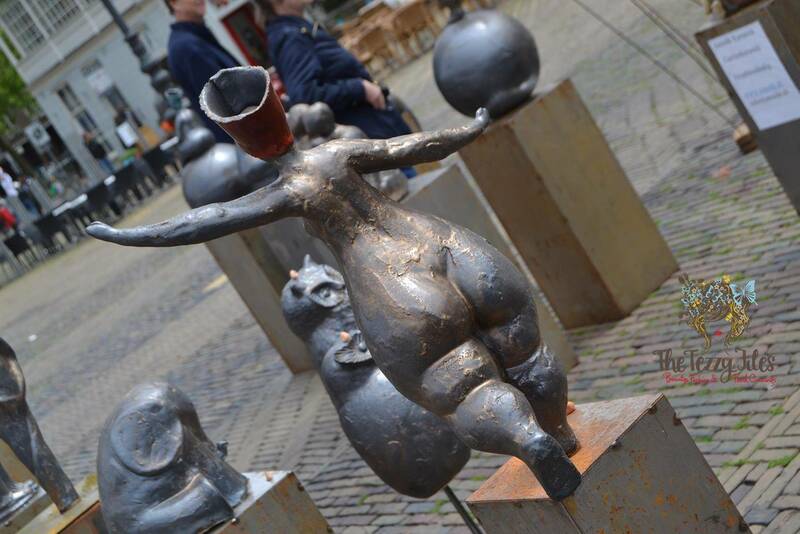 After the Delft Craft Market, the tour bus took us to The Hague. 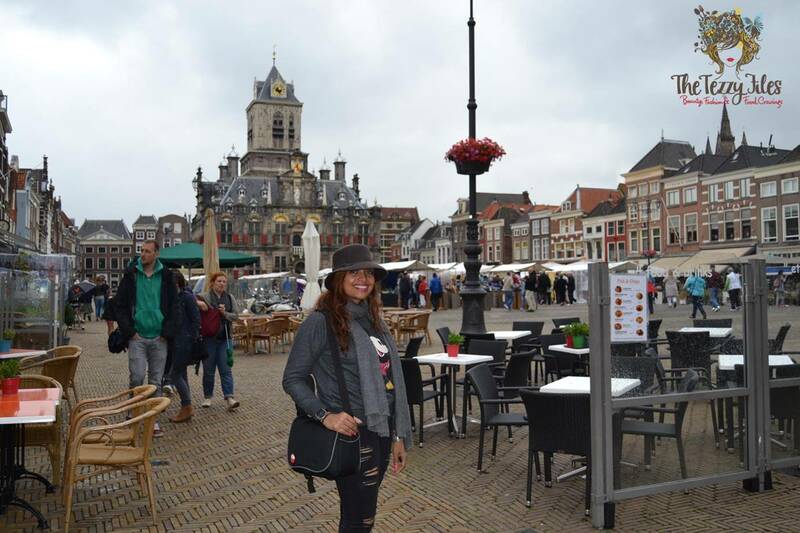 Here we visited the Binnenhof, a medieval castle dating back to the 13th century. 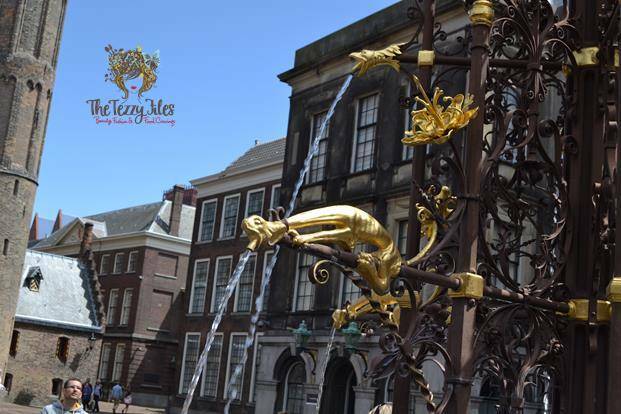 “The Binnenhof is a complex of buildings in the city centre of The Hague, next to the Hofvijver lake. It houses the meeting place of both houses of the States General of the Netherlands, as well as the Ministry of General Affairs and the office of the Prime Minister of the Netherlands. Built primarily in the 13th century, the Gothic castle originally functioned as residence of the counts of Hollandand became the political centre of the Dutch Republic in 1584. 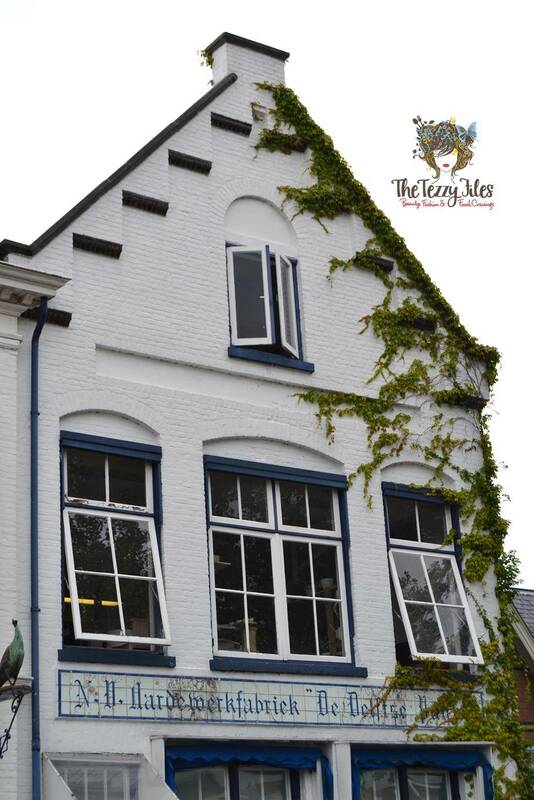 It is counted among the Top 100 Dutch heritage sites. 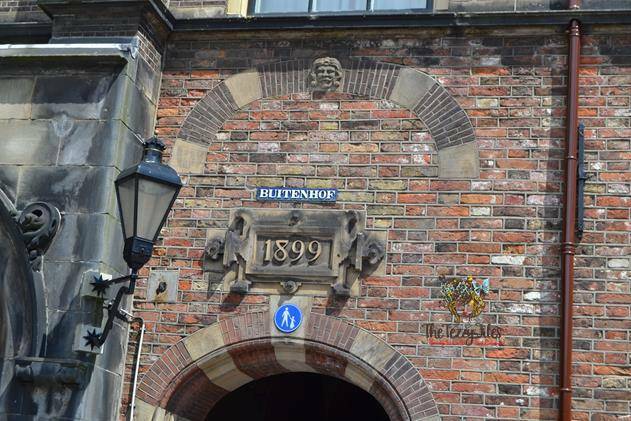 The Binnenhof is the oldest House of Parliament in the world still in use.” – Wikipedia. 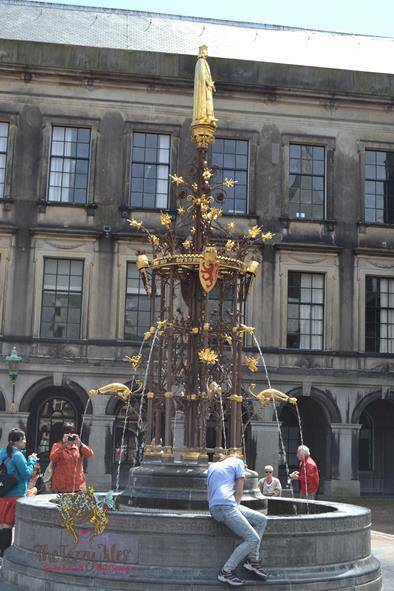 A beautiful golden filigree fountain takes center stage in the castle’s courtyard. A closeup of the fountain. 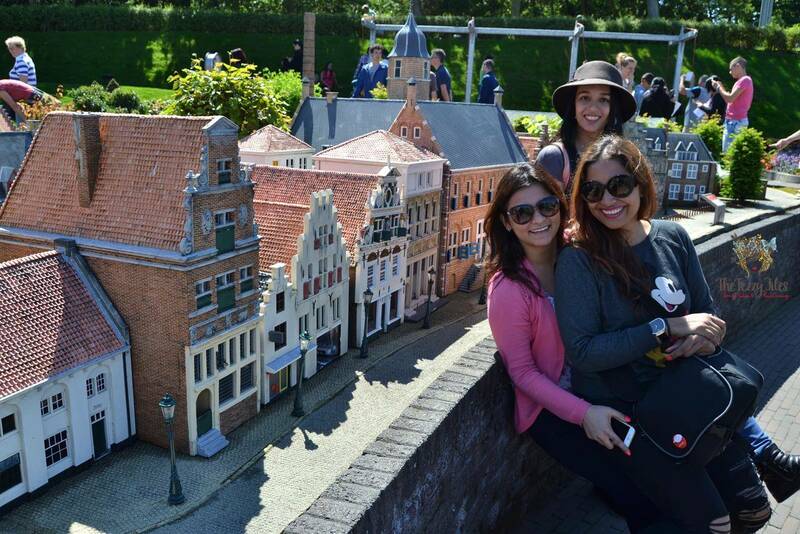 A trip to the Netherlands is incomplete without visiting Madurodam. 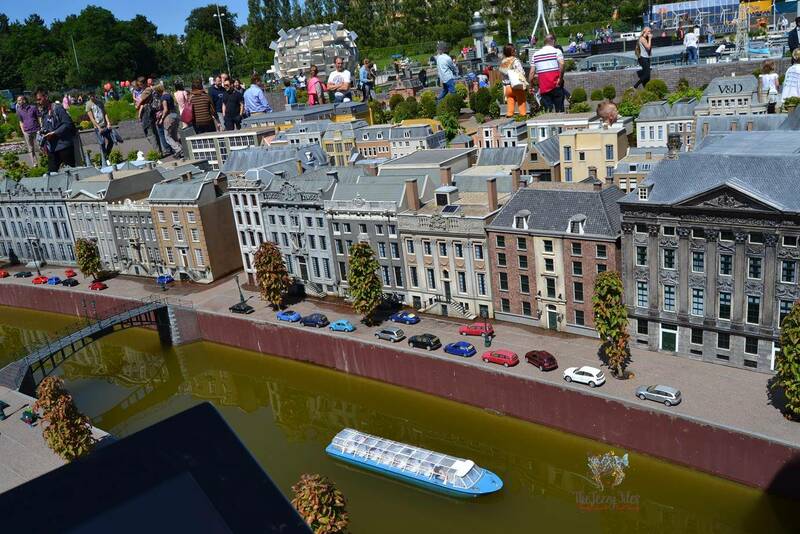 Dedicated to a soldier of the same name, Madurodam is a scenic outdoor miniature park that showcases replicas of monumental Dutch buildings scaled below 25 times their original size. A replica of the Amsterdam Canal. I feel like a giant! 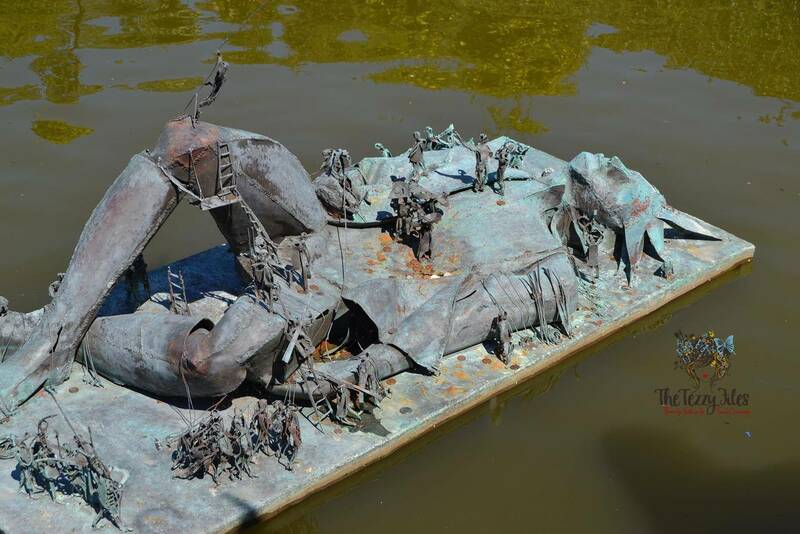 Very ‘Gulliver’s Travels’ don’t you think? A close-up of a replica tower. 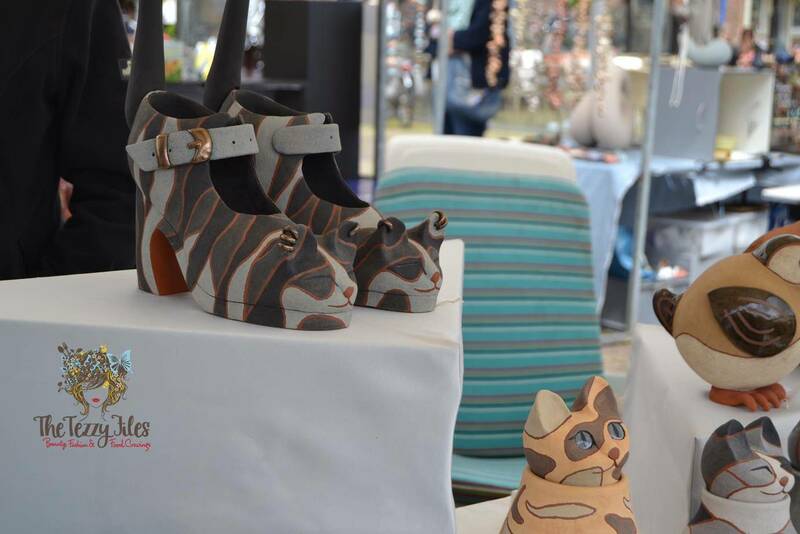 The fine detailing makes for an impressive work of art. 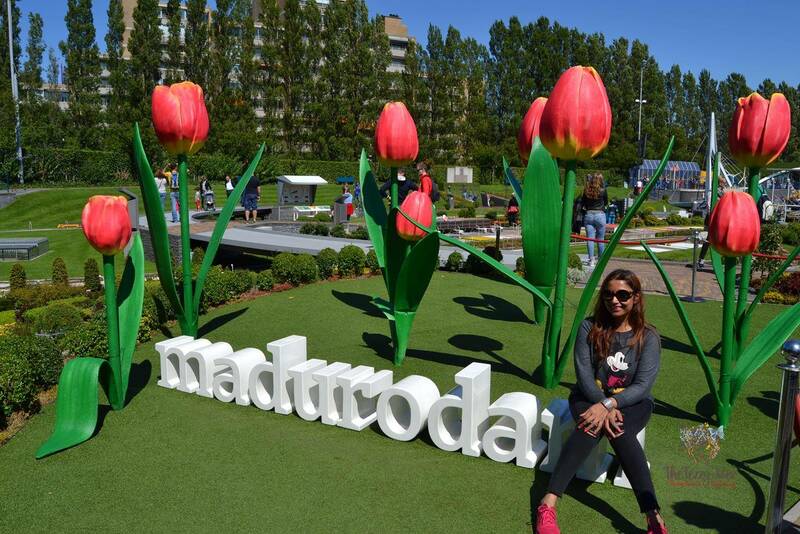 Me hanging around in Madurodam! 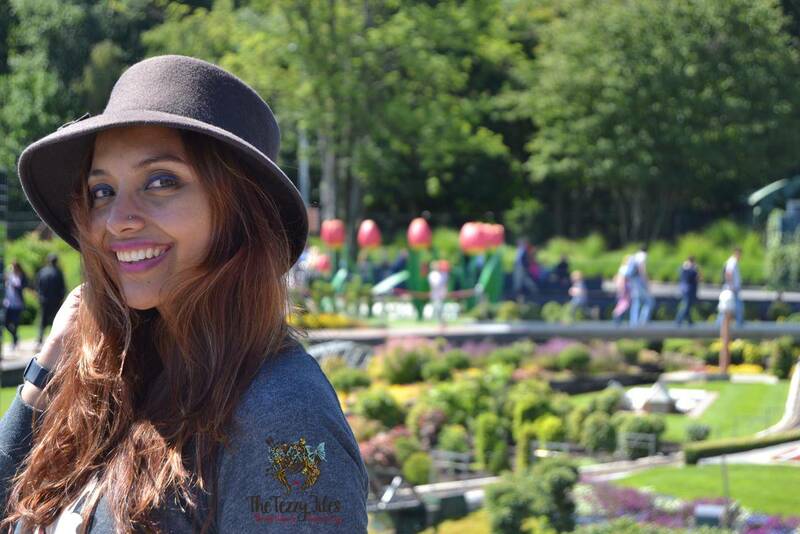 I first visited the Netherlands when I was around 8 years old, and from that entire whirlwind trip as a child, my favorite memory was that of Madurodam. I remember pestering my parents for an upgrade on my dollhouse after this visit! 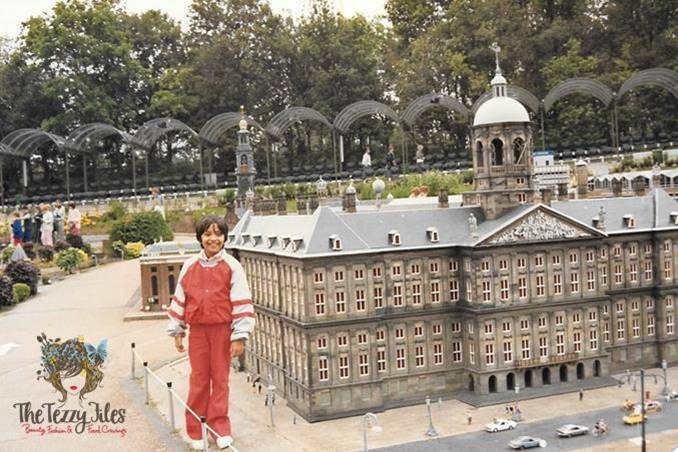 #flashback 8 year old me at Madurodam. 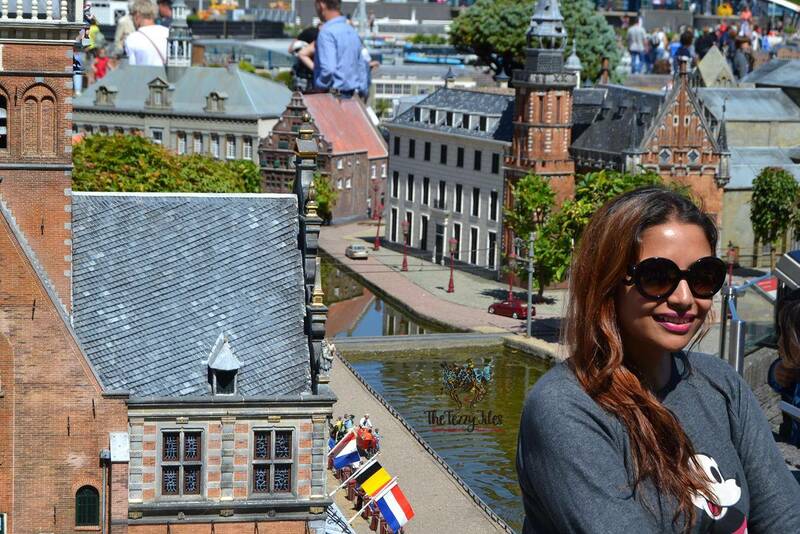 I’ve always been a fan of Gulliver’s Travels, and Madurodam is a Lilliput tribute to The Netherlands. 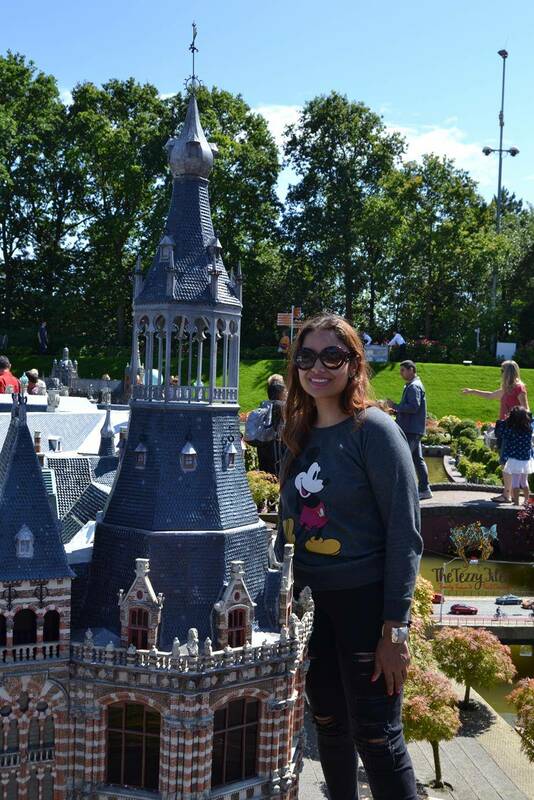 A tribute to Gulliver’s Travels in Madurodam. 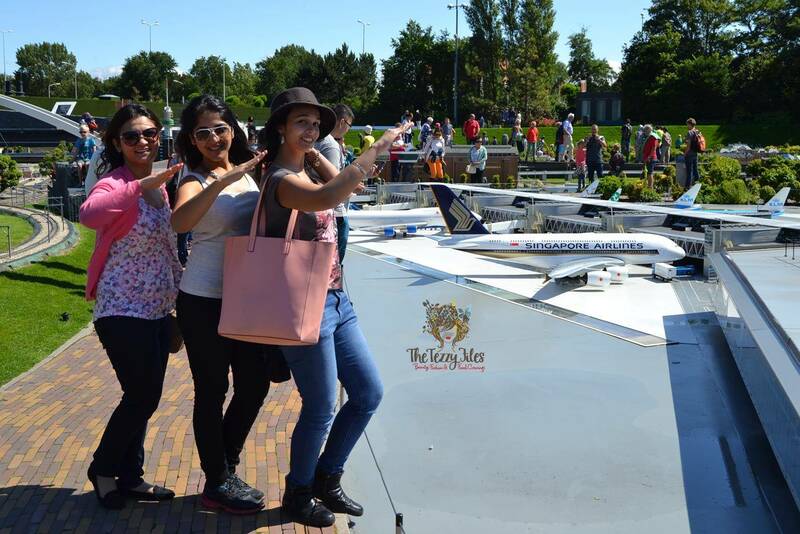 Madurodam is a must for click-happy tourists, and the girls and I had a ball taking animated photos with the miniature masterpieces. 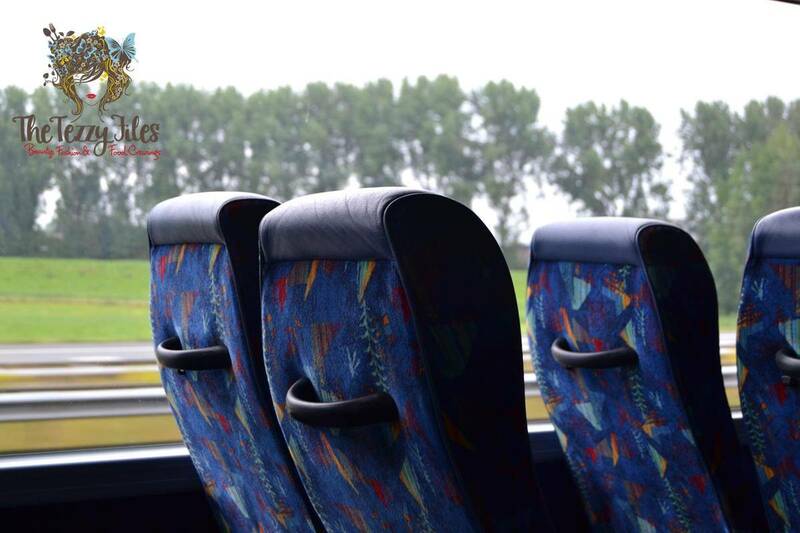 After Madurodam, the tour bus was heading back home. We got off a few stations early and took the tram to IAmsterdam. 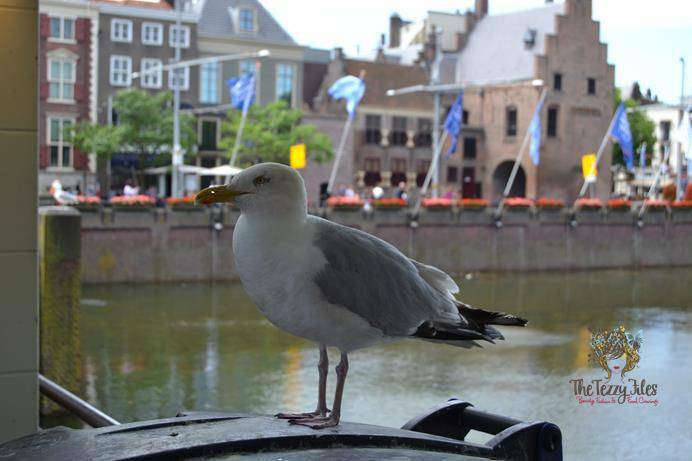 IAmsterdam is a photo spot for tourists, and is centered around a number of famous museums. One of the renouned museums in this area is the Van Gogh museum, and it really is a pity we had to give it a miss as the queues were far too long and we didn’t have the time to pre-book (mental note to self to come back again real soon!). 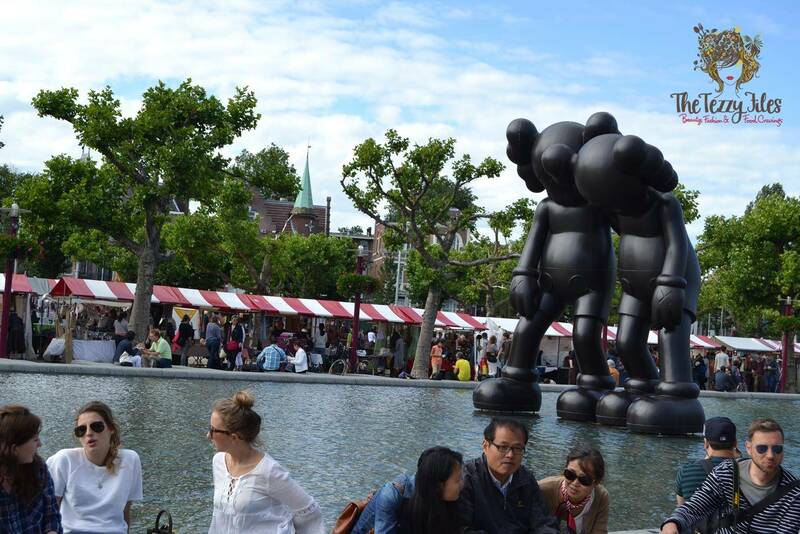 Given it was a Sunday, the lawns stretching around IAmsterdam were packed with tourists and locals alike. People lay across the freshly cut grass, fumes of marijuana exhaled with sweeter notes of Nutella waffles from the weekend food trucks. 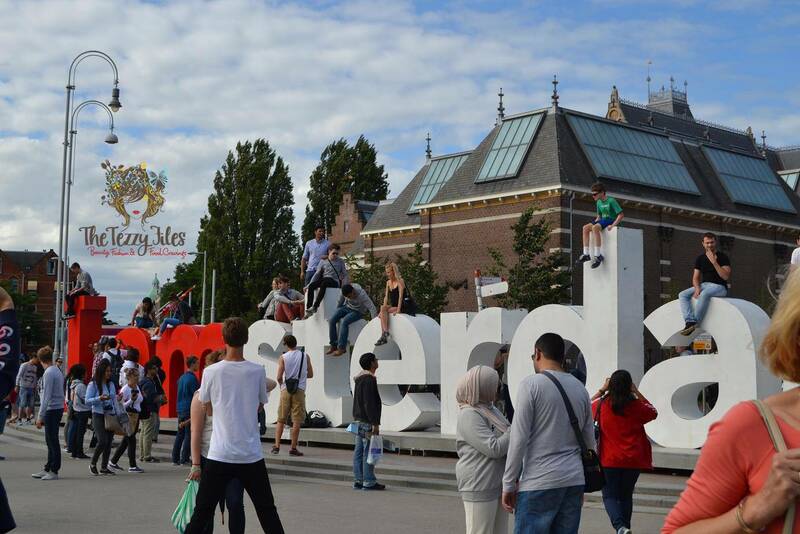 It was quite amusing to watch people taking the effort to climb onto the IAmsterdam lettering; some climbing to the top, others huddled inside an ‘A’ or balancing off a ‘D’. 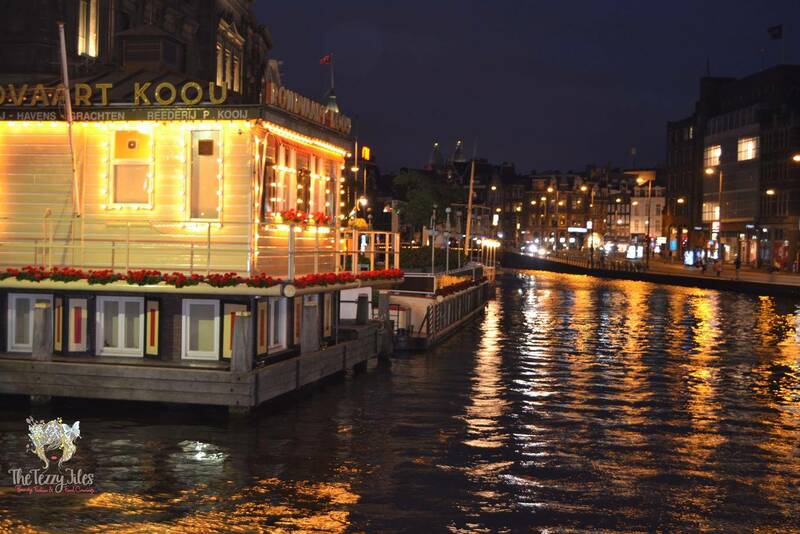 From IAmsterdam, we took the tram back to Dam Square, and decided to explore the streets of Amsterdam by foot. By night, the city takes on a different beauty. The dim lighting adds a magical touch to the medieval streets and although retailers close shops by 6 pm, the alleys are alive with activity. 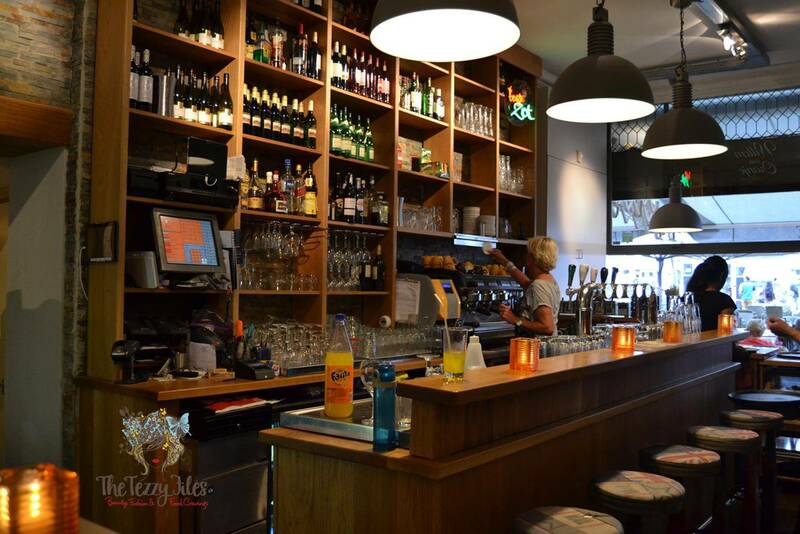 Amsterdam has a strong cafe culture, and there are many quaint little eateries to be discovered in the city’s nooks and crannies. 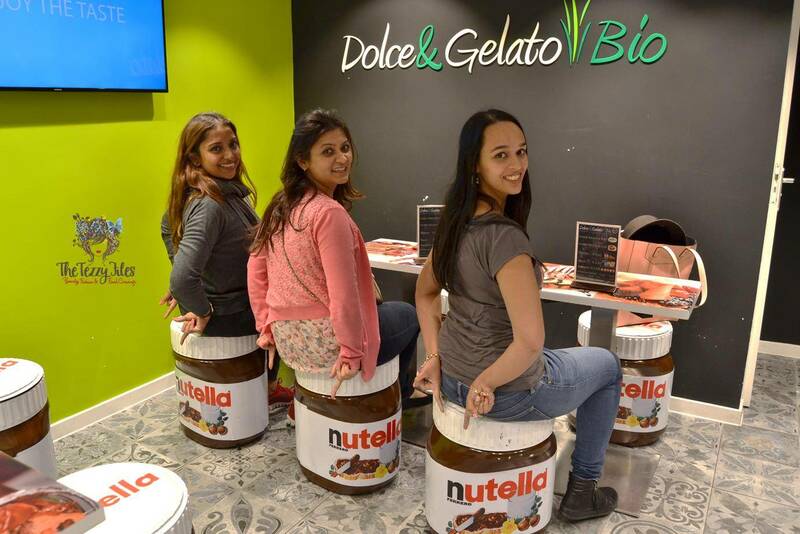 We were passing by a little cafe called Dolce & Gelato Bio, and the larger-than-life Nutella stools just grabbed us in. 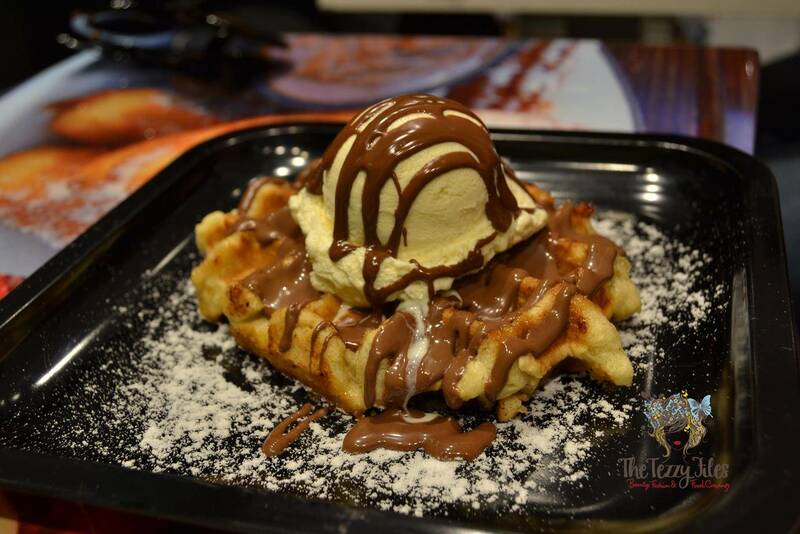 Ofcourse we had to have more waffles smeared with Nutella! Before we knew it, the clock was nearing 11 pm, and we found ourselves racing to Amsterdam Central to catch the last train to Bussum. This time round we had the correct amount of change for the tickets, and actually enjoyed the long, laid-back walk back to the hotel. We were slowly turning into locals! 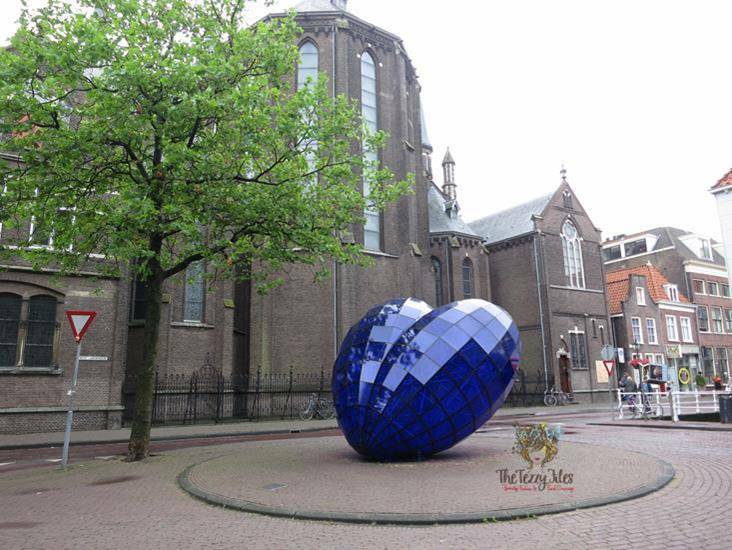 Posted in Holidays, Places and tagged Amsterdam, Culture, Delft, Delft Pottery, Dutch, Dutch Pottery, food, Haag, Holland, Madurodam, Pottery, Rotterdam, The Hague, The Netherlands, Tourist, travel. Bookmark the permalink. You were at my dream destination! I hope i can experience what you have mentioned and shown here sometime. Lol I have a few infront of that blue heart too! Delft is gorgeous.